1. 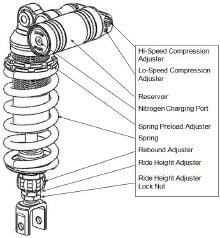 Remove the stock shock absorber according to the procedures in the BMW service manual. 2. 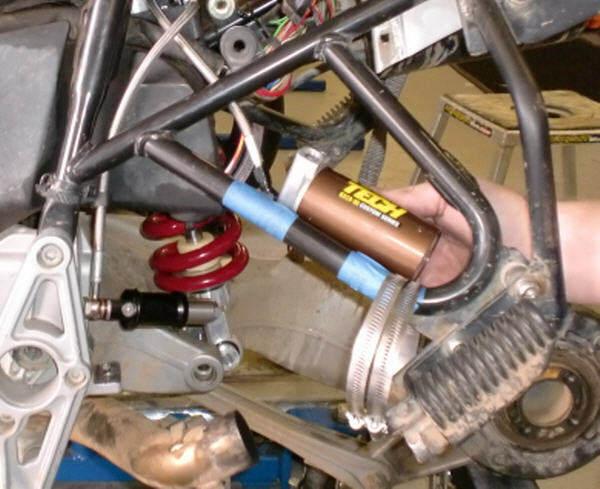 Install the G3-S shock with the Line Fittings facing the back of the motorcycle. 3. With the G3-S in position reinstall the Upper and Lower shock Bolts and torque to factory specifications. 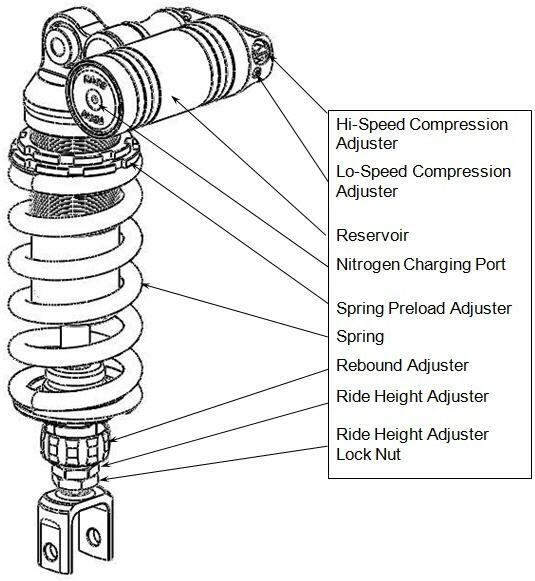 Note how Remote Reservoir Line is routed under the Hydraulic Preload Line. This is the proper position both items will be mounted to the Chassis in later steps. 4. Use a pair of Tin Snips or suitable tool to trim the pieces of plastic located below the Hydraulic Preload Line as shown. 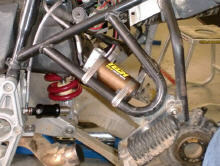 This will provide proper clearance for the Hydraulic Preload Adjuster to function properly. 5. 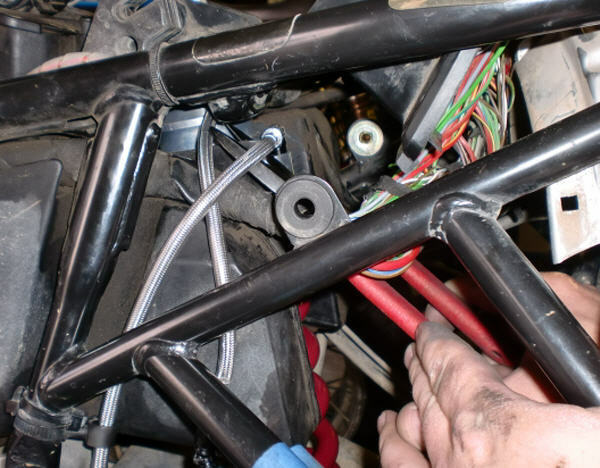 Attach the Reservoir to the Frame Rail using the provided Hose Clamps and Rubber pads. 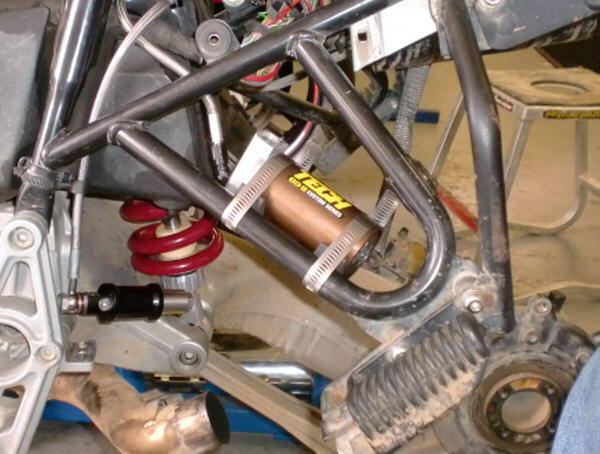 Tighten the Clamps so that the Reservoir cannot move under any circumstances. 6. Mount the Remote Hydraulic Preload Adjuster Bracket to the frame in the same position that the stock Preload Adjuster was. 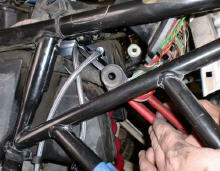 The Roll Pin on the Bracket will locate to the hole on the inside of the Frame. 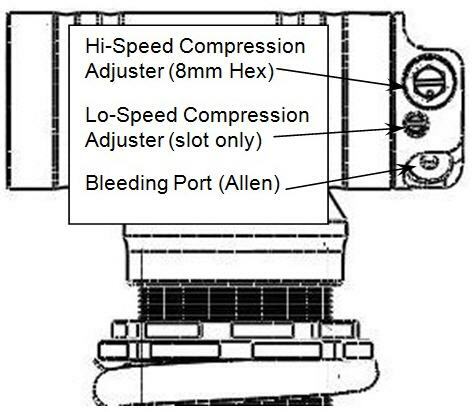 Use the stock Preload Adjuster Knob Bolt to attach to the Frame. 7. 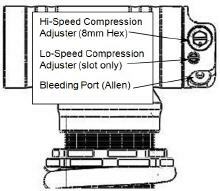 Use the included Allen Bolt to attach the Preload Knob assembly to the Bracket. 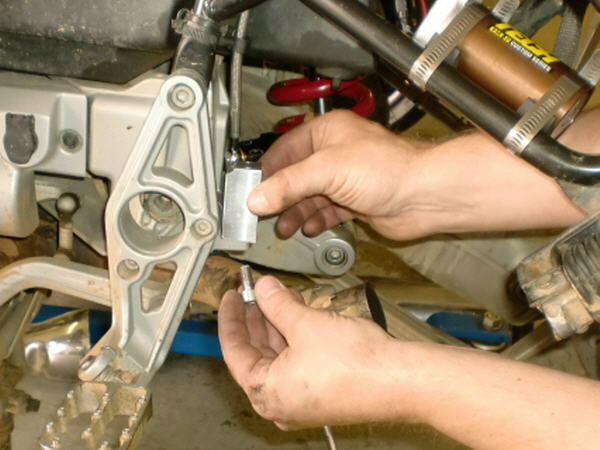 Option: If you prefer to use a 14mm Wrench to adjust you Preload the knob can be left off. 9. Have Fun!! Go Ride!! !